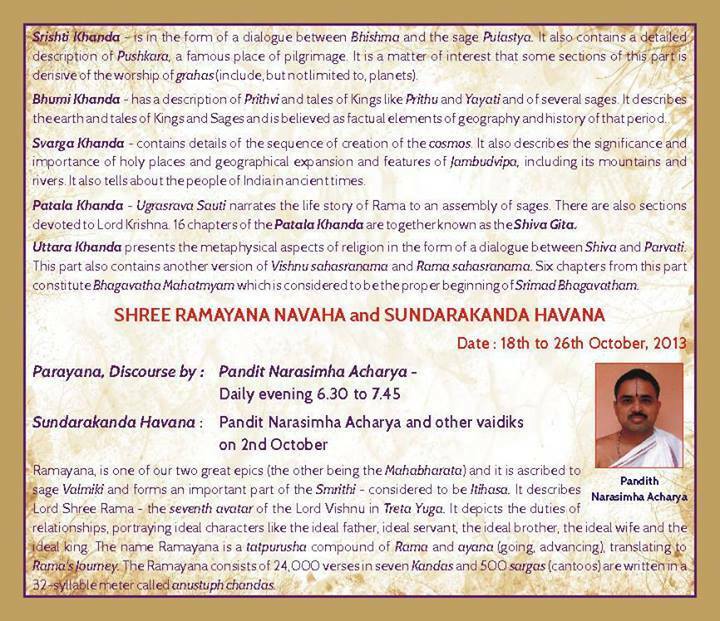 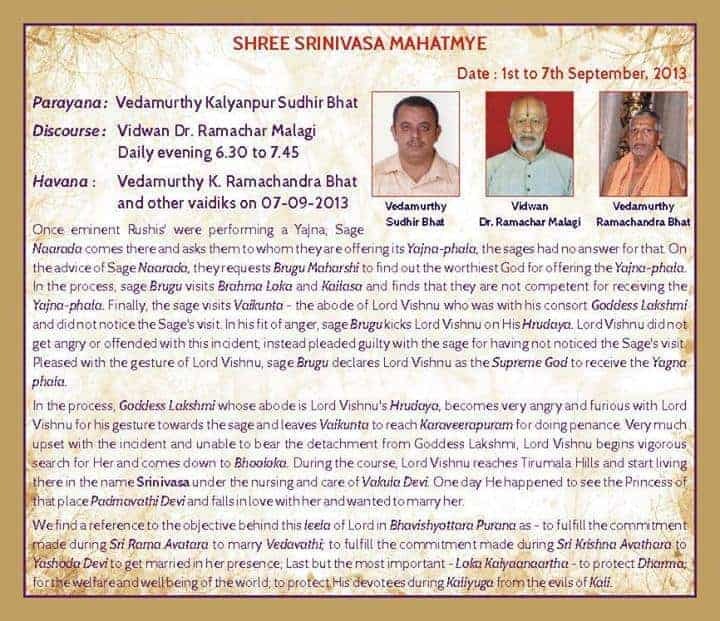 As ordered by our Revered Gurudev H.H. 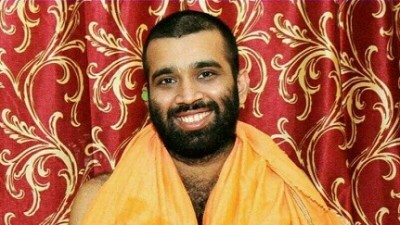 Shrimath Sudhindra Thirtha Swamiji (Mathadhipati of Shree Kashi Math Samsthan) their Paramapriya Patta Shishya H.H. 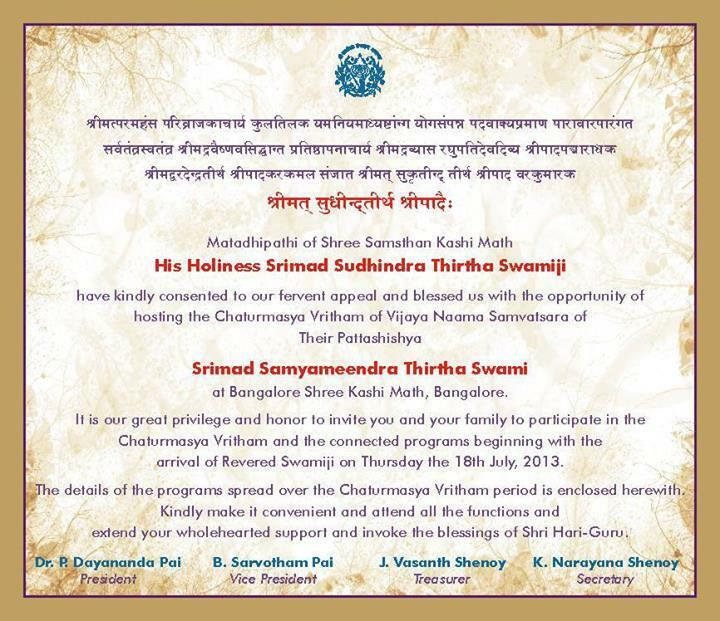 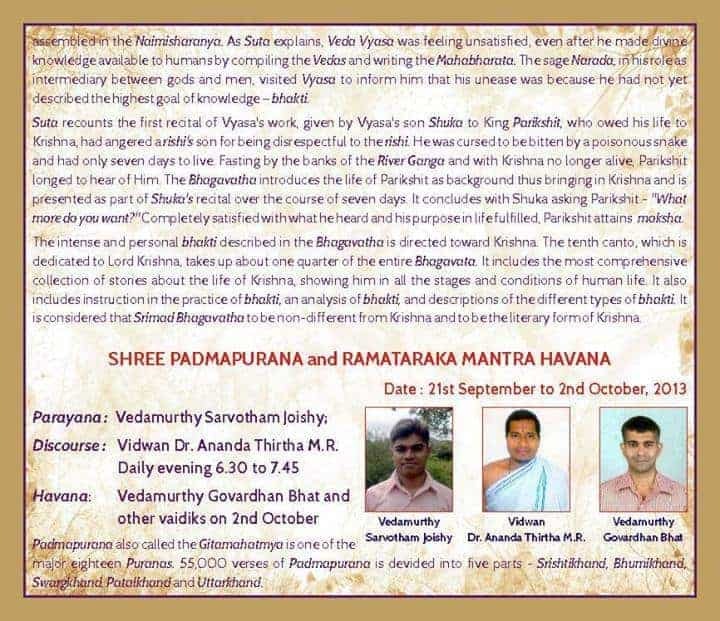 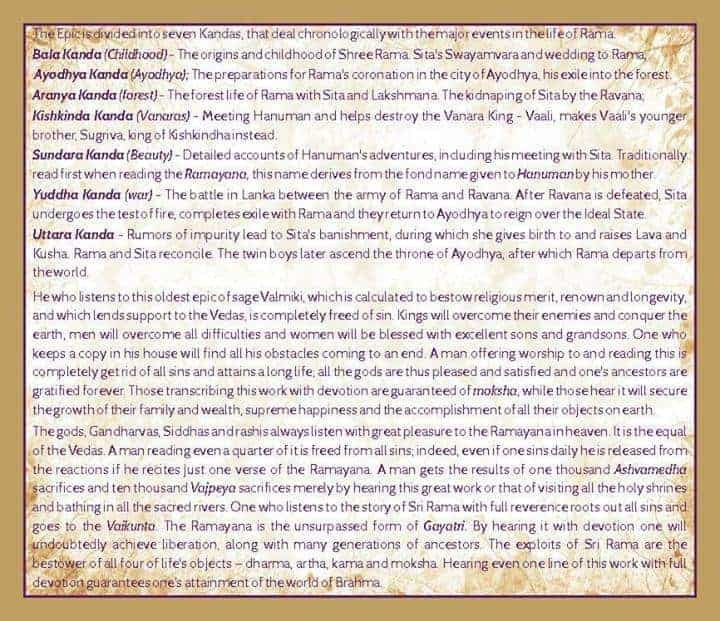 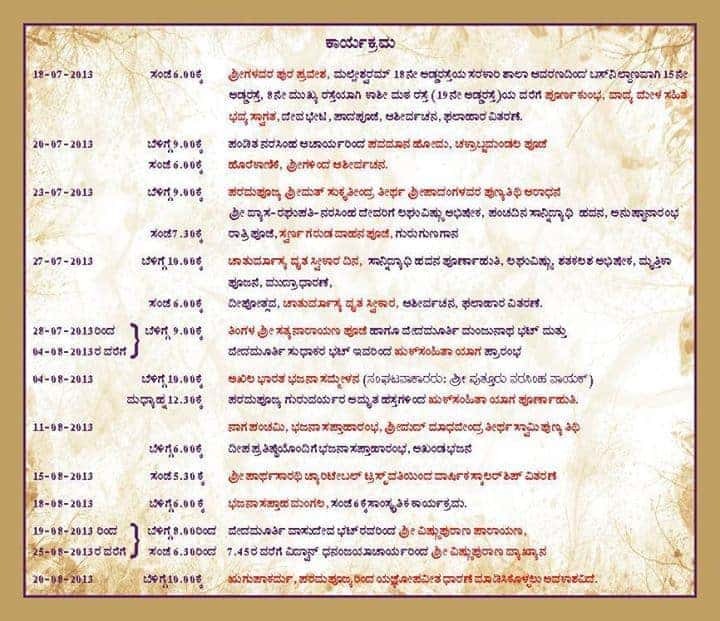 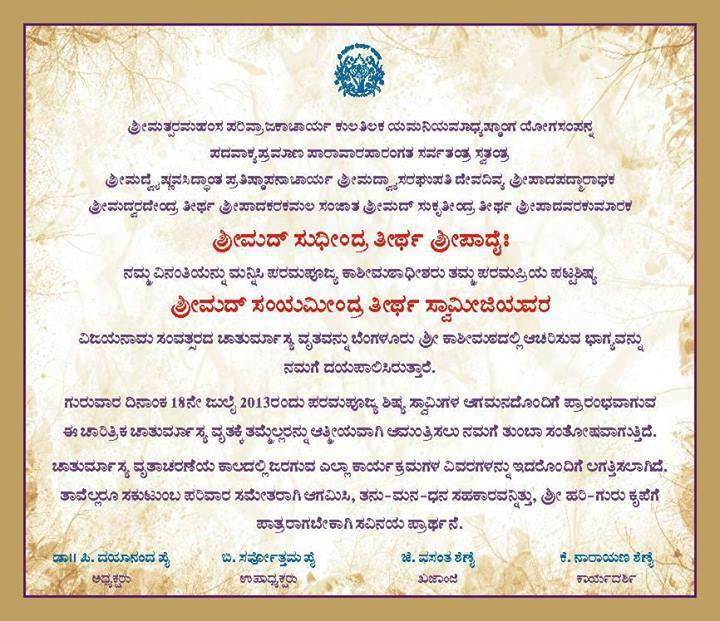 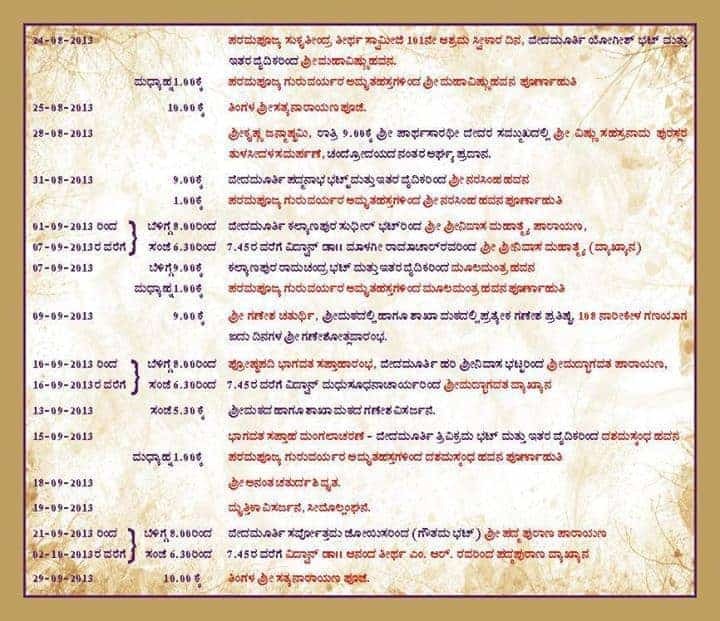 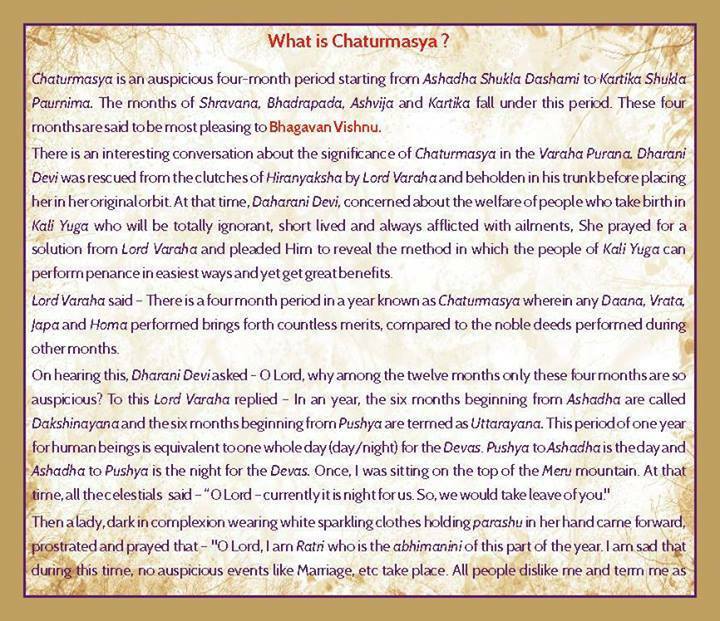 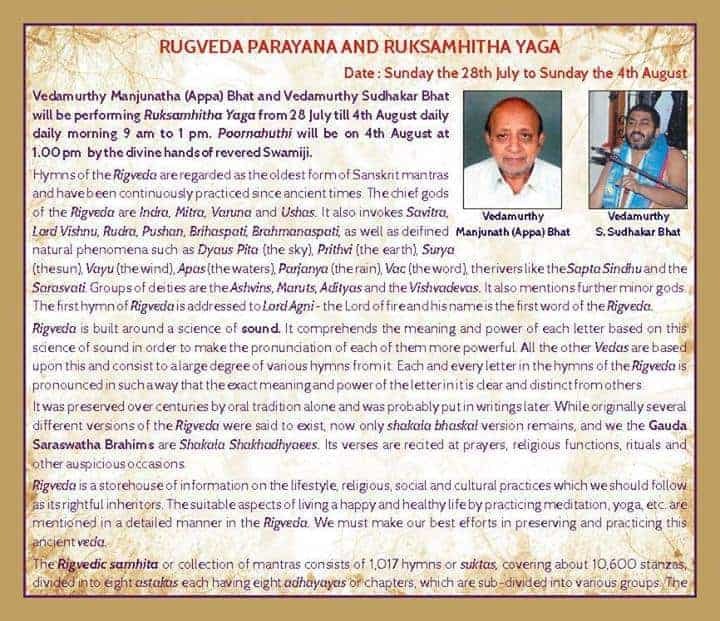 Shrimath Samyamindra Thirtha Swamiji will be observing their 12th Chaturmas Vrita in Vijaya Nama Samvatsar at Bangalore Shri Kashi Math. 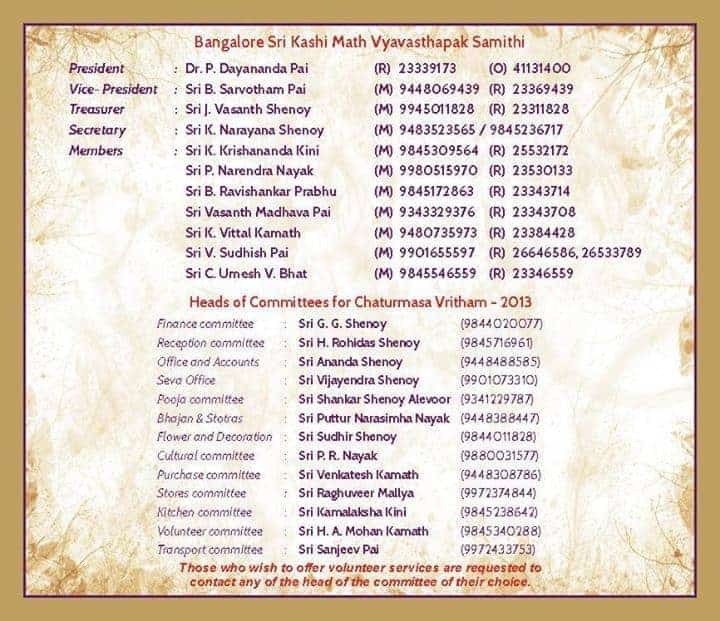 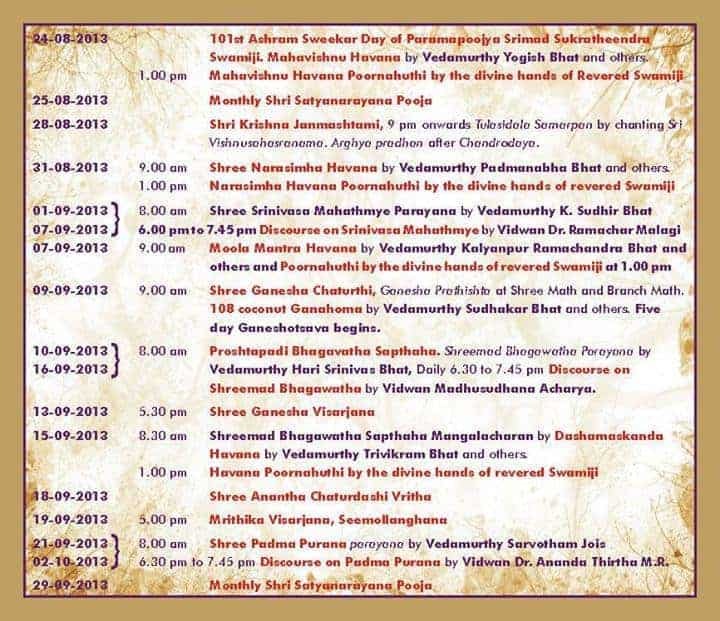 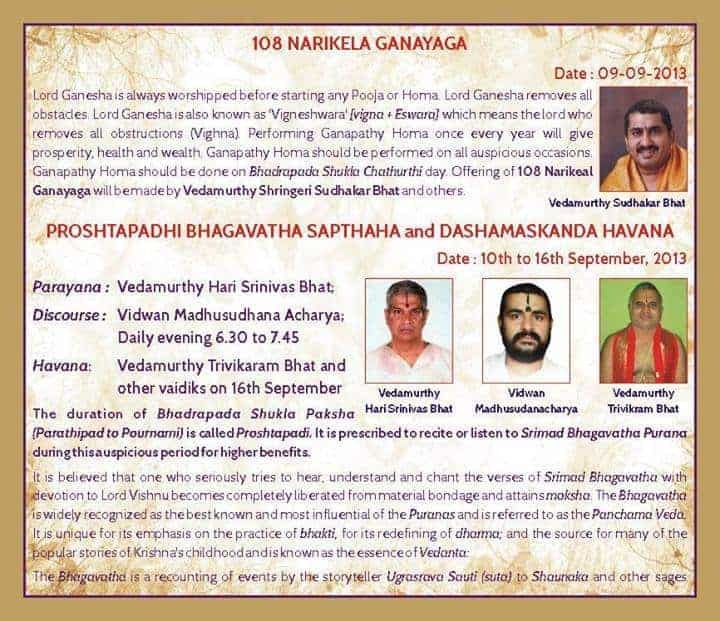 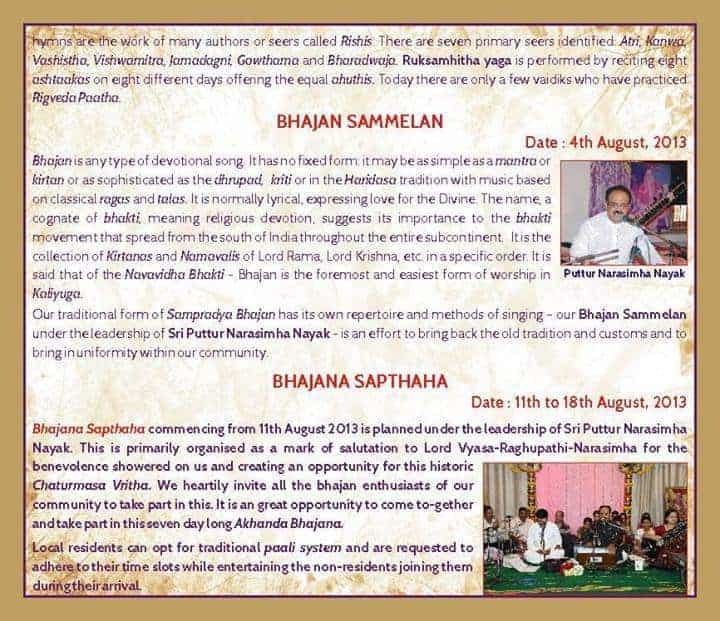 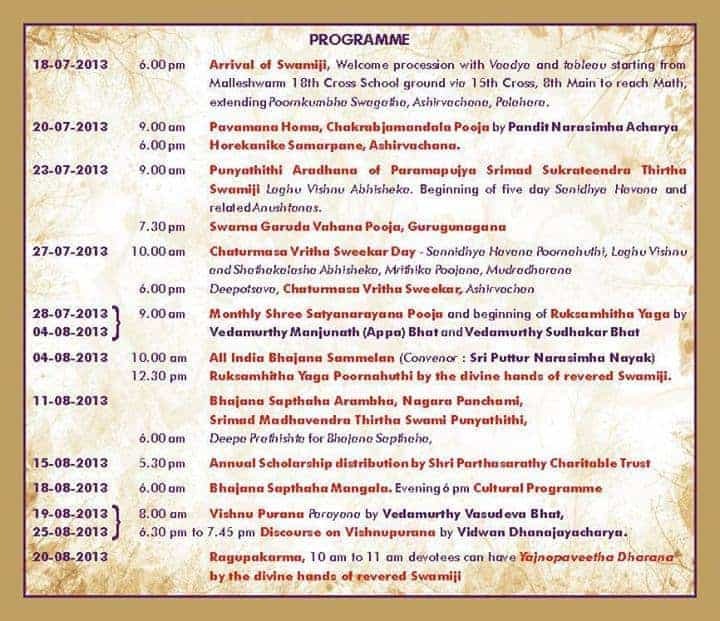 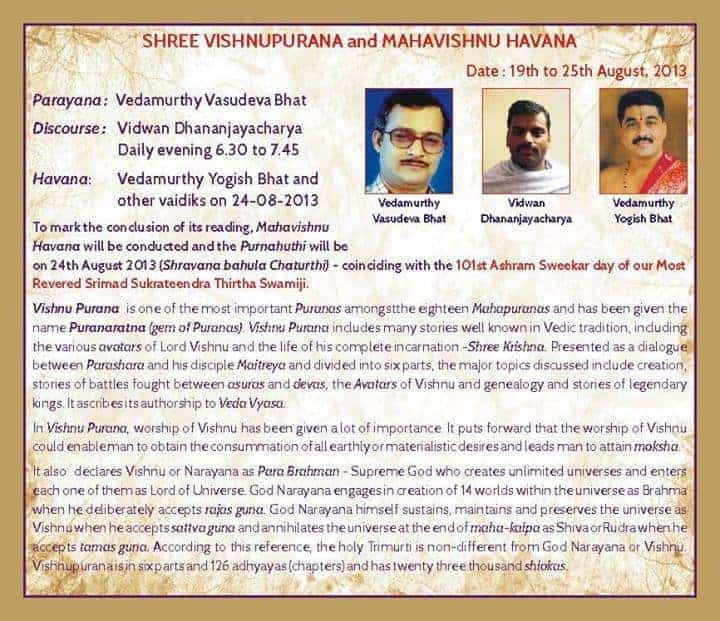 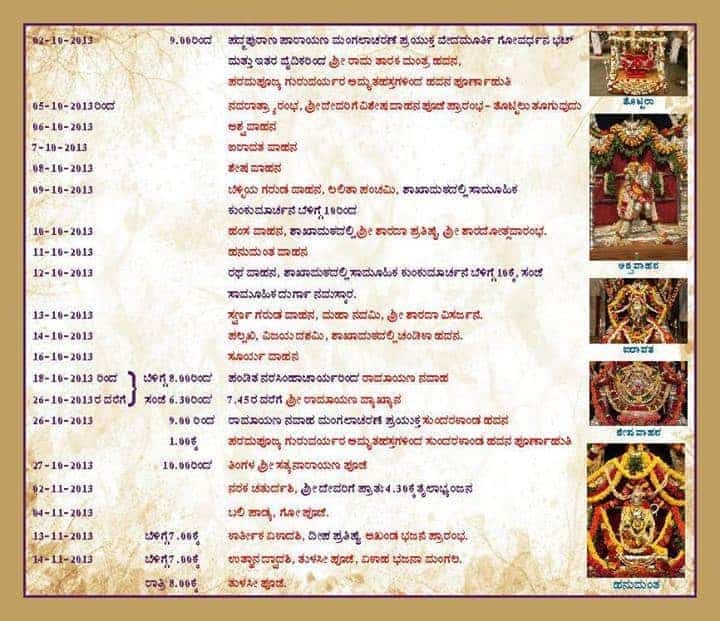 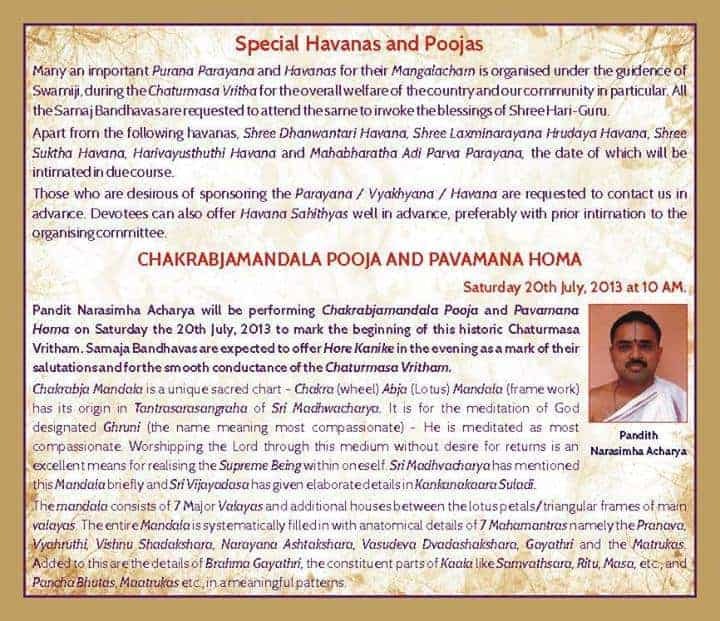 H.H Swamiji will be arriving on 18th July 2013 for Bangalore Chaturmas from their Hubli Mokkam. 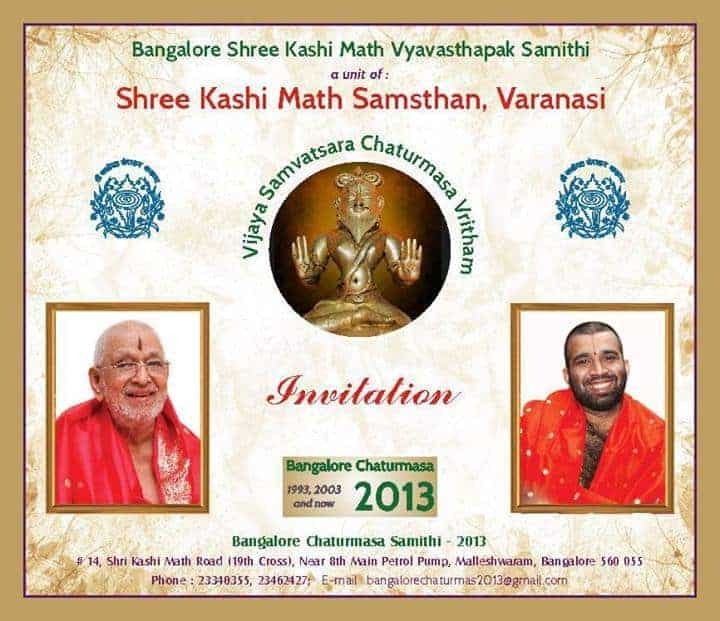 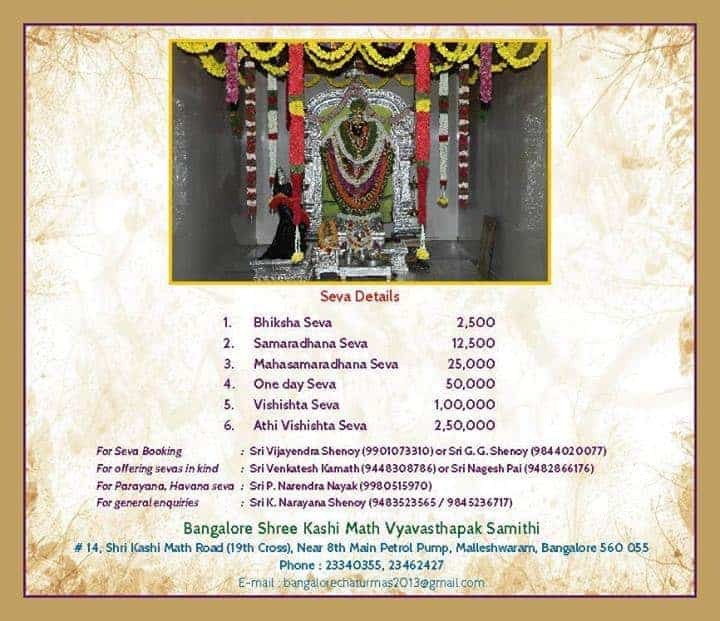 A Grand Welcome Procession is arranged from 17th Cross Malleshwaram Ground to Bangalore Shri Kashi Math (via 15th Cross and 8th Main Road) at 06:00 P.M.
All Devotees are requested to join in large numbers. 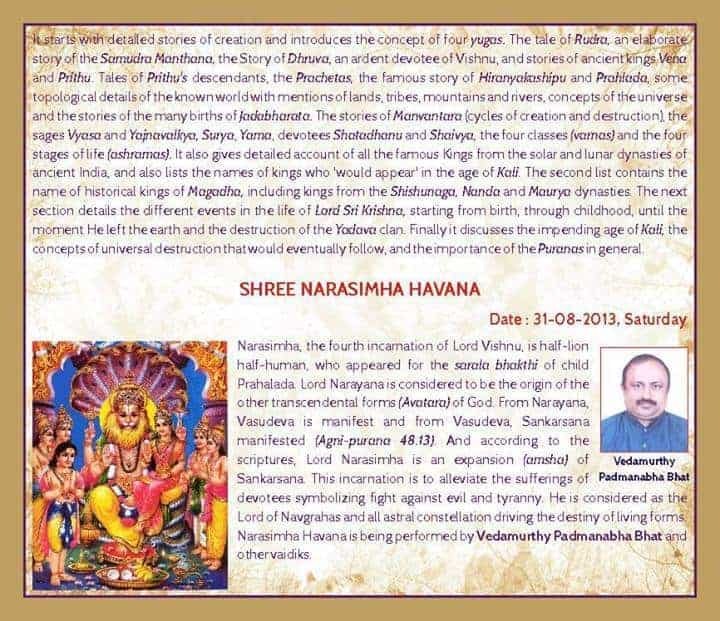 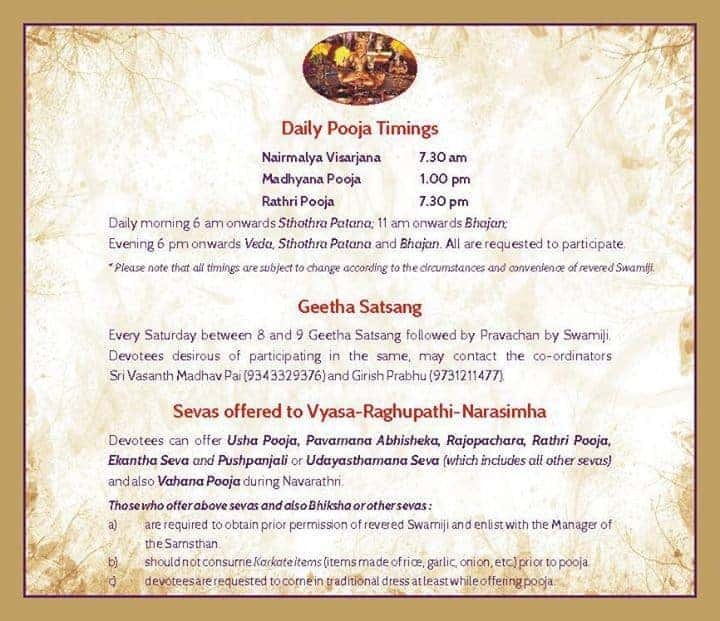 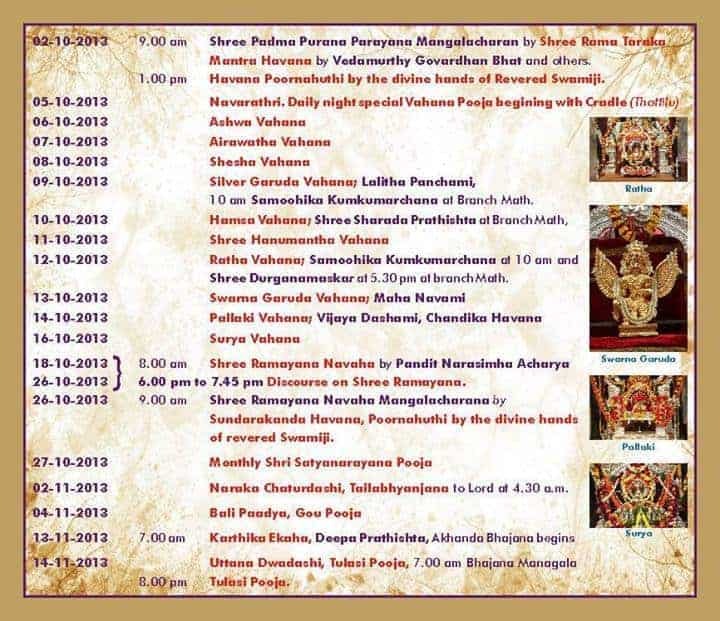 05/10/2013 – Navaratri Prarambha ; 11 Days Vahana Pooja during Navaratri.